While many people might think that deciding upon the best Bordeaux vineyards is an easy task, it should be noted that the region of Bordeaux contains over one hundred thousand vineyards. There will almost always be wineries nearby when people stay at chateaus in the area. Napoleon III, the famous and infamous emperor of France in the 19th century, set some precedents that are still influencing the wine market of France in the modern world. The northwest region of Bordeaux known as Médoc is still one of the most famous wine regions in the world. Almost all of the wine that was ranked prominently in the 1855 classification under Napoleon was from Médoc. However, some of the best vineyards today are from other regions in Bordeaux, even though Médoc continues to shine today. In the 1855 classification, there were five different categories based on growth as in 'first growth' or 'second growth' and so on. Wine tasting and the classification of wine has expanded since then. The best Bordeaux vineyards all have a lot of history behind them, and yet some of them have gotten more recognition in recent years. As of 2006, this vineyard has harvested seven hundred other vintages. This is one of the oldest vineyards in the entire world. Their current crop of red wine grapes are as high-quality as their white wine grapes. This vineyard leads Bordeaux in Merlot and Cabernet Sauvignon grapes, along with Sémillon, Sauvignon blanc, and Muscadelle grapes. Many of the best wine grapes in the world are grown right at this vineyard, which is located in the famous Médoc. This vineyard has even more respect for tradition than most of them, since the wine is still fermented using oak vats at this vineyard. This vineyard has a very versatile collection of high-quality wine grapes as well, with Petit Verdot, Cabernet Franc, Merlot, and Cabernet Sauvignon grapes grown on the premises. 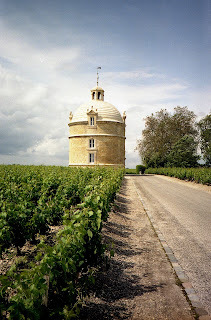 This is the vineyard near Saint-Emilion, which is one of the best regions in Bordeaux for wine of all kinds. This vineyard has a very long family history behind it, which has helped contribute to the refinement of the vintage of the wines for so long. For the past six hundred years, the de Boigne family has owned and operated the Château de Pitray. A lot of the best Cabernet Franc and Merlot wine in the world comes from this location, and the wines are priced accordingly. The vineyards are great tourist destinations. The endless fields of grapes are beautiful to behold, especially during the right season. However, investing in Bordeaux wines from these vineyards is a sound financial transaction. The best wine that is high enough in tannins really does get better with age, and people are going to be able to get some of the best wine in the world here. Their cellars full of wine are going to continue to increase in value as they age, even in an era in which currency all over the world is fluctuating and people are losing out on their investments in the stock market. Bordeaux vineyards are selling products that have been in demand for hundreds of years, making them truly dependable investments in a world where dependable investments are in short supply for even wealthy people.